It's been a while... 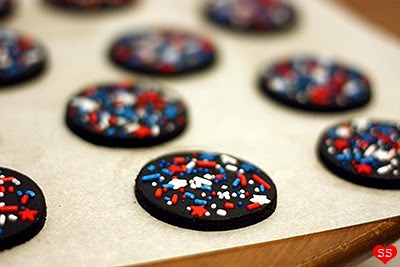 Originally I planned this post for July 4th, so I could use my red, white, and blue sprinkles, but there was a terrible heat wave and I couldn't summon the fortitude to turn on my oven. Hot weather + baking = no way! 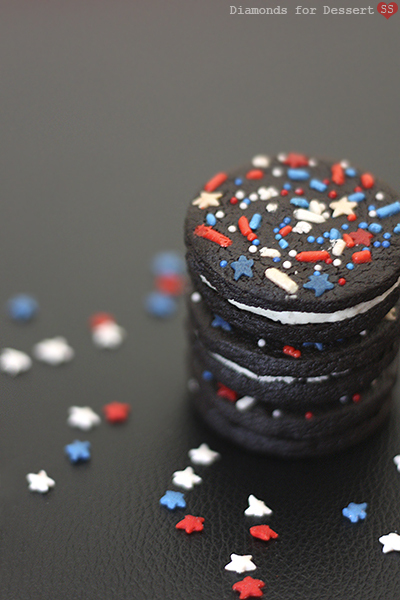 When I finally got down to making these cookies, July 4th was past, so I wanted to adapt my original idea into something less holiday specific. 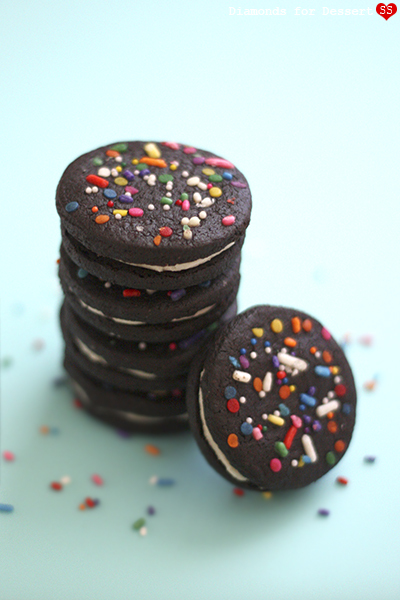 That's how I ended up with these Homemade Celebration Oreos. Remember when I made TKOs (Domo-shaped ones, to be specific)? Well, I thought they were wonderful, but they definitely were not what I think of when I crave an Oreo. 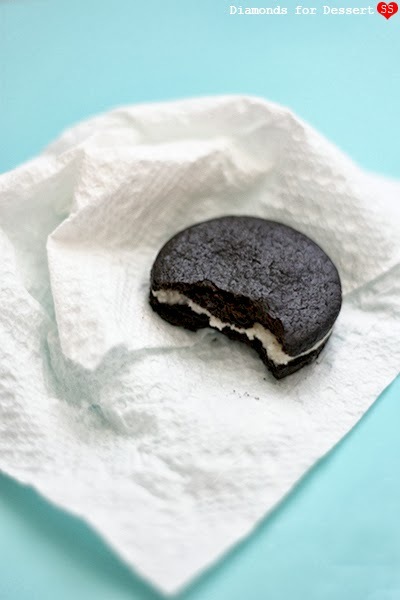 What I want in an Oreo is a crisp, chocolate, slightly salty cookie with a white, shortening-based filling, which I got by combining two popular homemade Oreo recipes (the one from Flour Bakery for the cookie and the one from Retro Desserts for the filling). 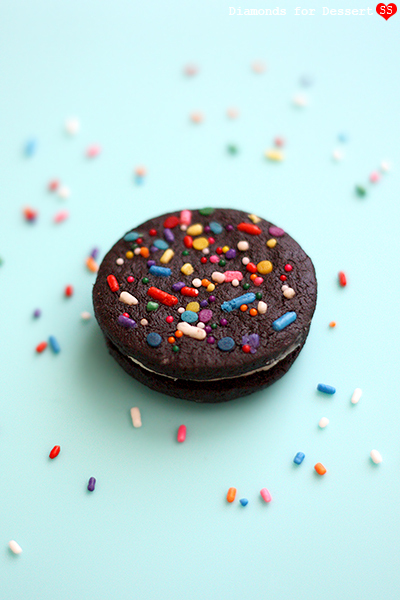 To give them a special homemade touch, I covered them with rainbow sprinkles (3 kinds... because I could :D)! Perfect for any celebration since desserts and celebrations go hand-in-hand. Great for a birthday. Any sort of party. Or just because you want to brighten up someone else's day. But feel free to customize them for a specific occasion. Red, white, and blue sprinkles for July 4th (pictured below). Green, red, and gold sprinkles for Christmas. Assorted baby blue or baby pink sprinkles for a baby shower. The colors of your favorite sports team. The possibilities are endless! P.S. Feel free to make them sprinkle-less. They're just as delicious ^_^. P.P.S. I still made some 4th of July cookies in the end. Just because :). For the cookies, melt the butter in the microwave. In a different bowl, melt the chocolate chips. Let cool slightly before using. 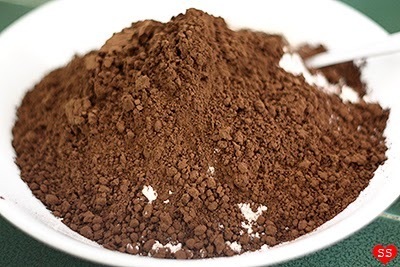 Combine the dry ingredients: flour, cocoa powder, salt, and baking soda. Set aside for now. 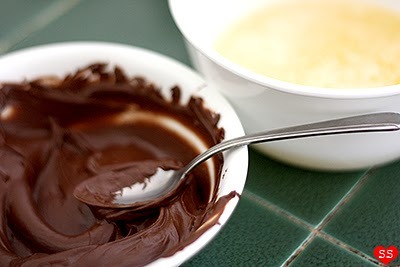 In a separate bowl, mix the butter and the sugar. 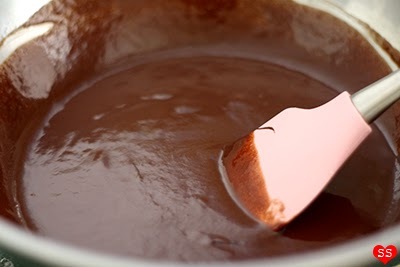 Add in the vanilla and melted chocolate chips. Mix in the egg. Add half of the dry ingredients to the wet ingredients. Mix until no streak of flour are left. Repeat with the other half of the dry ingredients. Cover the dough and leave it at room temperature for 1 hour to firm up. Split the mound of dough into two. Place 1/2 of the dough on a piece of plastic wrap. Roll the dough into a log about 2 1/2 inches in diameter; roll up the log in the plastic wrap. Repeat with the other 1/2 of the dough. Place both logs of dough in the refrigerator and let chill for 2 hours. Preheat the oven to 325°F. Take out a log of dough. Cut slices from it about 1/8-1/4 inch thick. Place the slices on parchment lined baking sheets. Repeat with the other log of dough. 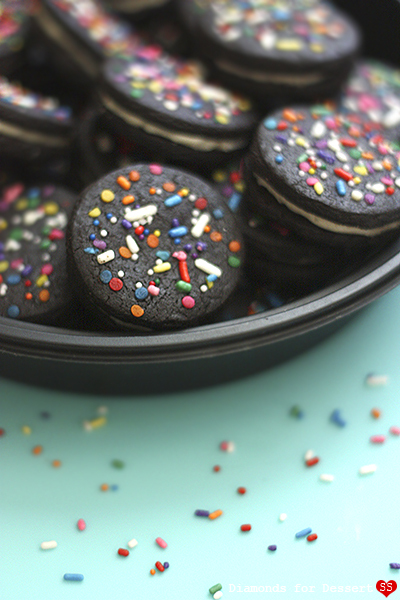 Mix together your assortment of sprinkles. Spread the sprinkles over half of the cookies (these will be the tops, the bare cookies will be the bottoms). Chill the sheets of cookies in the refrigerator for about 10 minutes. Place the sheets in the oven to bake about 15-20 minutes, until they are firm to the touch. Remove the cookies from the oven and let them cool on a wire rack. 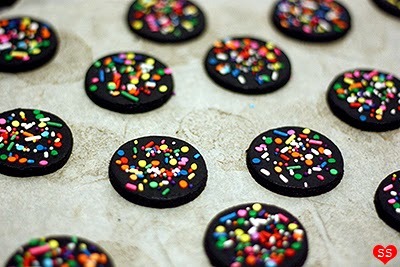 Let cool completely, then match up each sprinkle covered cookie top to a bare cookie bottom. For the filling, mix the shortening and butter until smooth. Add the powdered sugar 1/2 cup at a time. Mix in the vanilla. Transfer the filling to a piping bag and use it to pipe filling on each cookie bottom. 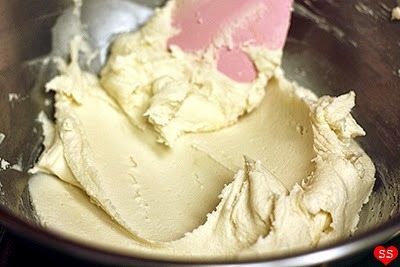 Or you can just take a knife and use it to spread the filling on the bottoms if you don't mind that it will be messier. 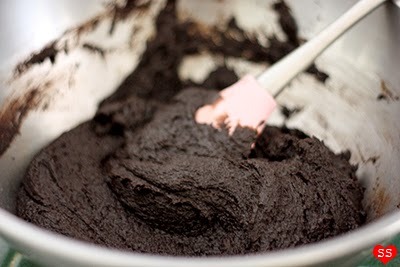 Cover the cookie bottoms with the tops and press lightly so the filling reaches the edges. Then enjoy! The 3 different types of sprinkles makes them super cute!! I love how bright and cheerful they are. My stomach is smiling just looking at them! These are adorable! Love how you could change out the sprinkles to match different seasons. I am hopelessly addicted to Oreos, so this is right up my alley! Do you know how many cookies does this recipe makes? Love these! What are the three types of sprinkles that you used? Can you post a link to them? Thanks! Once you bake the cookiea, do they freeze well until needed and until you want to fill them? Yup, they freeze really well!